The warmth and joy of the holiday season is great; almost everyone can agree on that. But along with all those snowflakes and comfy sweaters comes a slew of unwanted colds and health problems that frequently pop up during the wintertime. If you notice that you or one of your loved ones has been experiencing any unusual pain, take a look at some common winter health issues so that you can take the necessary steps to avoid or treat them as soon as possible! 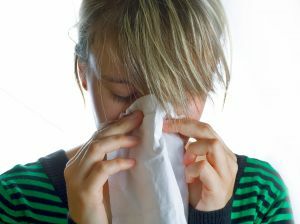 Pneumonia – A common misconception about pneumonia (a lung infection) is that you catch it because of the cold weather. This is actually untrue. Pneumonia is more common during the winter because people are indoors a lot and come in contact more often, which opens the door for germs to attack more aggressively than usual. Bacteria and fungus can cause pneumonia, so to keep a common cold from getting out of control, cough and sneeze into your sleeve, wash your hands a lot and consider scheduling a flu shot or a pneumococcal vaccine, which works well against most strains of pneumonia, this winter. Acute Bronchitis – Irritation and swelling in the air passages of the lungs is known as acute bronchitis. It’s most common during the winter and can frequently stem from a cold or flu. Constant coughing is a typical symptom of bronchitis. By getting plenty of rest and drinking a lot of liquids (Adults – lay off the alcohol and cigarettes), acute bronchitis can usually be knocked out in the comforts of your own home. Strep Throat – The winter air isn’t just brisk and chilly – it can also be very, very dry. And with dry air sometimes comes a sore throat. Severe sore throats, a heavy fever and enlarged lymph nodes can mean you have developed strep throat. It may hurt to swallow and you’ll likely experience some swelling with strep throat and sometimes it can lead to more serious complications if left untreated. To prevent it from getting worse, you may need some diagnostic testing done to see what type of antibiotics you’re going to need to treat it. When eating a few cough drops just isn’t enough, the doctors at Westland Clinic are the ones to turn to when you’re feeling blue. 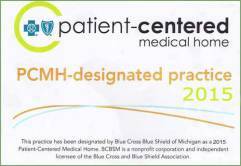 Give us a call at 734-728-2130 for more info or fill out one of our patient forms today. Remember to practice healthy habits this winter and be careful shoveling that snow!